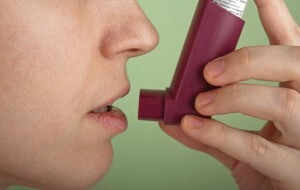 Asthma is a serious lung condition that causes and individual to have serious breathing problems, cough, and wheezing. It seems to often come almost as an attack and it could progress into a life-threatening emergency. Certain things or triggers have been found to bring on an asthma attack such as smoke, pets, pollen and other allergens in the air. There are medications available to manage and reduce this illness. The medical definition of asthma is “a predisposition to chronic inflammation of the lung which the airways (bronchi) are reversibly narrowed”. When a person has an asthma attack, the smooth muscles cells constrict and as this happen an inflammation and swelling of the airways occurs making breathing difficult. 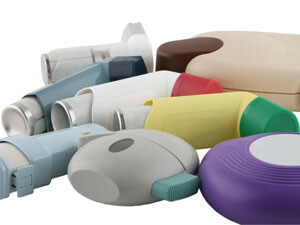 This disease (asthma) is responsible for an estimated 4,000 deaths in the United States each year. Unlike some pulmonary diseases such as chronic bronchitis or emphysema, asthma is reversible. A person who is an asthma patient avoids the stimuli that trigger their normal asthma attacks and use inhaler medications if experiencing an attack they are normally okay in a short while. As defined by the National Heart, Lung and Blood Institute asthma is a common chronic disorder of the airways characterized by variable and recurring symptoms, airflow obstruction, bronchial hyper responsiveness (bronchospasm), and an underlying inflammation”. The frightening aspect of asthma is it has quickly and continues to rapidly be prevalent among young urban children. In order to recognize the symptoms of asthma it is important to know that there are actually two states of asthma that must be considered: one is the steady-state of chronic asthma and the other one is an acute state of an acute asthma exacerbation and symptoms are different for each state. The more common symptoms or signs to look for in the steady-state will often include: coughing at night, when exertion possible shortness of breath, a coughing to try to clear the throat, tight tingling sensations experienced in the chest. Not all people who have asthma (despite what most people believe) do not wheeze frequently and often do not wheeze at all. In the second state of asthma…the acute exacerbation of asthma as is often just called an asthma attack the main symptoms consist of shortness of breath (dyspnea), chest tightness and wheezing. If a person is having an asthmatic episode the signs may include wheezing, a rapid heart rate, prolonged expiration and lung sounds that are audible through a stethoscope. Severe attacks can cause the patient to turn blue from oxygen deprivation, complain of chest pain and even lose consciousness. Often before losing consciousness the patient may feel numbness in the limbs and have sweaty palms. Feet on the other hand may feel cold. When it gets to be this severe and they do not respond to standard asthma treatments (status asthmaticus) the patient is in a life threatening environment which could lead to respiratory arrest and even death. Even though the symptoms are so striking and severe in cases of acute exacerbation when a asthma sufferer is in between asthma attacks he may show little or no symptoms at all. Asthma is a chronic or long term disease that makes breathing difficult and in severe case impossible. People who are at risk of developing asthma are those who have a family history of lung or allergic diseases, someone exposed to air pollution both indoors and out, and people in a work environment that is prone to inhalants such as paint, grain dust, crab dust etc. A person with asthma experiences extra sensitivity in their breathing passageways when they are around certain triggers. It is un-curable but with proper treatment and medication asthmatics can learn to manage their asthma and lead normal, active lives.